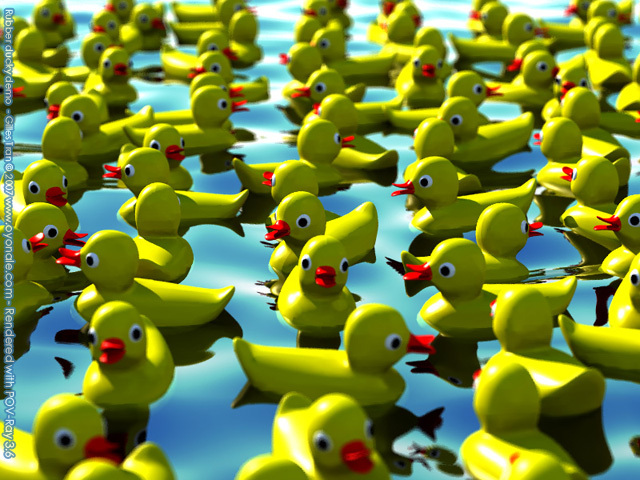 In the POV-Ray scene, the rubber ducky is placed on water with the trace POV-Ray function so that it floats according to the height and slope of the wave. A sky image is included in the zip file. 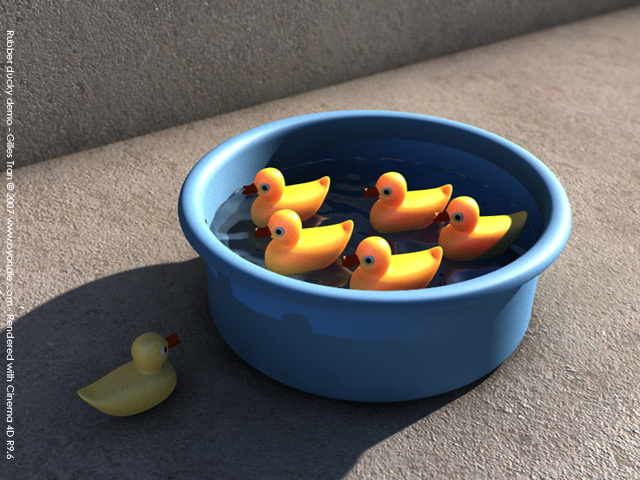 The Cinema 4D scene uses subsurface scattering both for the basin and the ducks. It includes the duck model, the basin and the textures.